Since 3D printing the prototype cost $770 and took only two weeks, including both design and development, VCE completed its testing much sooner than traditional methods would have allowed. Volvo Construction Equipment (VCE ) is one of the world’s largest manufacturers of construction equipment. The company’s broad product line includes haulers, loaders, excavators, compact equipment and road equipment. 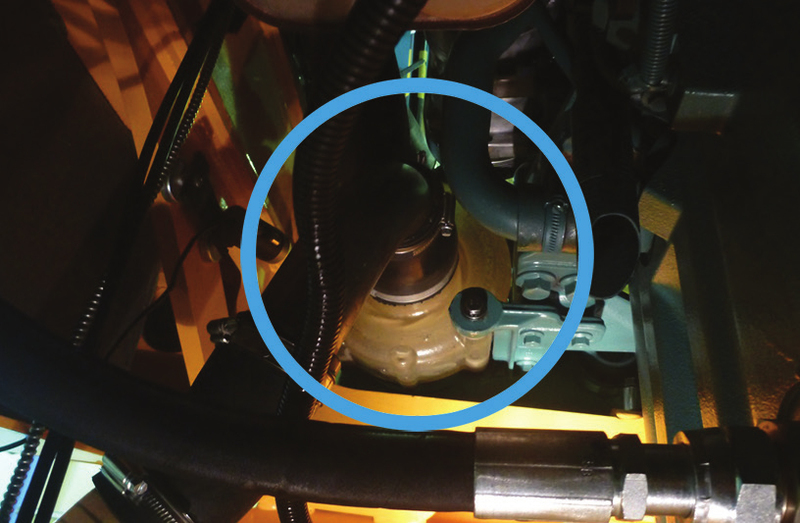 Volvo engineers recently designed a new water pump housing for the company’s A25G and A30G articulated haulers. Engineers used simulation to optimize the design of internal flow passages in the housing, but needed to build a prototype to perform functional testing to validate the new design. Until recently, the company would have invested in tooling. The tooling cost for this project would have been approximately $9,090, with the part cost around $909. The lead time for producing the prototype would have been 20 weeks minimum. VCE management tasked the engineering team with cutting development costs and reducing the lead time on large engine projects from 36 to 24 months. Engineers felt 3D printing would be a good benchmark to determine if printed parts could withstand functional testing. 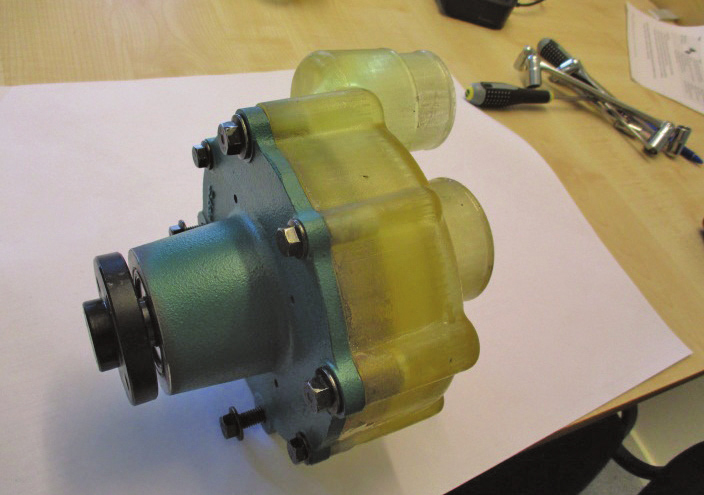 Water pump housing prototypes must be able to survive the heat and high pressure of the engine compartment. As a step toward achieving this goal, the company utilized a Stratasys Objet Eden260V 3D Printer from its Shippensburg, Pennsylvania site. VCE engineers 3D printed the housing in Transparent material, also called FullCure 720. They mounted nine threaded inserts into the part and sealed the housing with epoxy resin and hardener to prevent leakage. They fastened the jacket to a water pump and then mounted the pump to an A30G. Engineers took water flow and pressure measurements from both the existing water pump and the water pump with the new housing. The newly designed housing passed the tests. 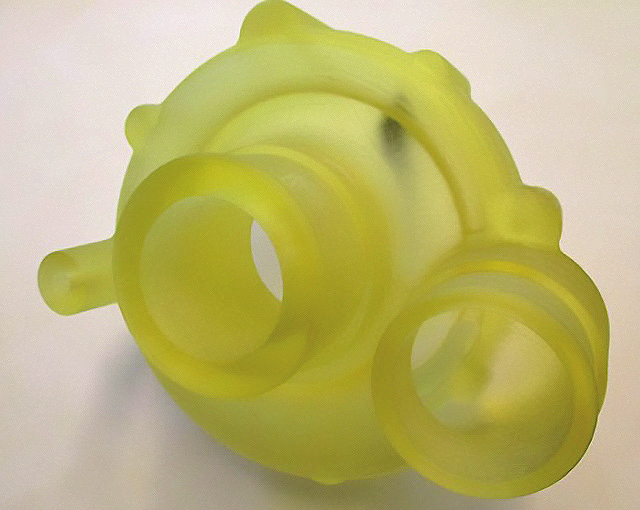 VCE 3D printed this water pump housing in Transparent material for quick functional testing. Since 3D printing the prototype cost $770 and took only two weeks, including both design and development, VCE completed its testing much sooner than traditional methods would have allowed. VCE is now ramping up production of the new part. This project demonstrated the feasibility of integrating 3D printing into VCE’s engine development process. Each new generation of engines typically requires 15 to 20 new cast metal parts and 12 to 15 profile molded hoses for each engine. 3D printed prototypes can be produced in about 1/10th of the time required to produce prototypes using traditional manufacturing methods, which adds up to a hefty time savings. 3D printing also provides a substantial cost savings. Tooling for metal prototypes cost between $4,500 and $18,000, but 3D printed prototype parts cost only $600 to $1,000. While molded hose tooling for prototypes cost around $600 and its prototypes run between $60 and $90, metal prototypes and molded hose prototypes can be replaced by 3D printed prototypes that cost between $100 and $800. Multiple prototype iterations multiply the cost savings. “VCE is also looking at using 3D printing to produce jigs and fixtures to increase the efficiency of the manufacturing process and digitally manufactured parts to address low-volume part production,” Hartman concluded. Water pump installed in an A30G for functional testing.